Coderdojo Milltown is back on on Tuesday September 17th. 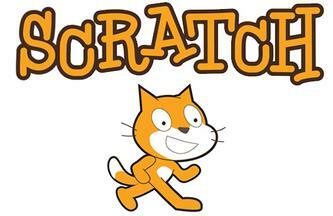 Please follow the instructions in the link below to download Scratch which will be used during the term. All the mentors at CoderDojo wish everyone a happy and prosperous New Year in 2018! Just a reminder to all the parents and children, there will be no class on the 9th of January. We will resume class on the 16th of January at 7:15. Keep up all the coding and we will see you then! Follow the instructions detailed in the video and install the App Inventor 2 software and Java software on the ninjas laptop and ensure that it works as detailed in the video. We feel that this is a reasonable request as we are stretching our technical resources to cater for additional ninjas and we simply do not have time to install the software on laptops. Hello Everyone!! We got off to a great second week in Coder Dojo and the children seem very engaged in learning different ways to code. Just a few reminders for children and parents concerning some of the classes. Making An App Class: Please check that you have all the software needed to participate in class. The main software needed for the making an app class is Multimedia Fusion 2. It is important that you review with your child how to download the software (module 1.1) and that a code is entered in the downloading process. You may need to contact Youth Digital to get a new code and this can take a few days. Next, when all software is downloaded, try to open it so you know that you have it installed correctly. The internet in school is not the best and we won’t be able to complete this downloading process in class. Khan Academy: All children in fourth class are recommended to become a member of Khan academy. This requires a parent to sign up their child using the parent’s email address. Click on their Username → Settings in the upper right corner. Follow the sign-in or log-in prompts to get started. My class code for the Java class is TGFATJ6B and the coach is Jill Kelly. If you have any questions. Please don’t hesitate to ask your mentor.